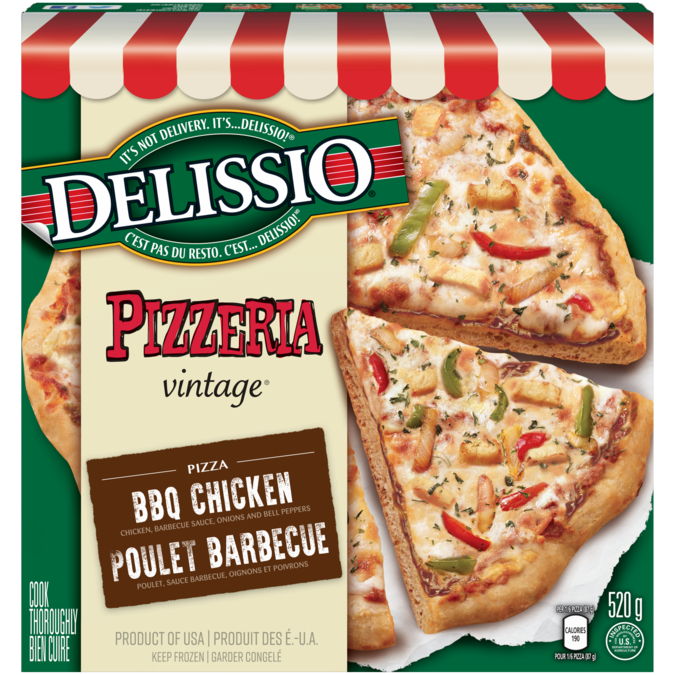 DELISSIO® Pizzeria Vintage BBQ Chicken brings the whole family to the table without having to say a word. With authentic pizzeria-style crust, this pizza is topped with barbecue sauce, chicken, onions and bell peppers. Sounds appetizing? Just wait until you smell it bake!